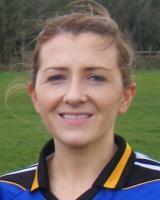 Captain Profile Name: Ãine Tighe	Club: Kiltubrid Position: Midfield / Forward Age: 22 Ladies Gaelic Football Achievements: County â€“ Connacht Intermediate Championship 2014, 2015, NFL Div 4 2010, Intermediate Player of the Year â€˜11, Team of the League â€™10-â€˜15 Club â€“ Senior League 2009, Intermediate Championship 2007, Underage titles College â€“ Oâ€™Connor Cup UL 2014, 2015, College All Star 2014, 2015 PPS â€“ Connacht Schools Titles 2008, 2009, North American Senior Championship 2013 Toughest opponent: CÃ¡it Lynch Kerry When did you start playing Ladies Gaelic Football: Age of 5 High point of your career to date: Oâ€™Connor Cup Titles 2014 & 2015 Biggest disappointment: Failing to reach Croke Park after a couple of close ones! Favourite Player: Female:	Briege Corkery	Male: Colm Cooper Most embarrassing moment on or off the field: Fracturing my wrist diving to save a penaltyâ€¦. That hadnâ€™t been kicked! 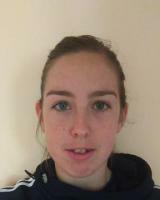 Favourite food: Steak and pepper sauce Nickname: Tiggy / Tighey Favourite ground: McHale Park Castlebar Favourite ladies gaelic football skill: Overhead catch Person you would most like to meet: Brian Oâ€™Driscoll One rule you would change in our game: Influences on your career: Family, club and college coaches in particular.